After a strong opening race in Melbourne, the team finished pointless in Bahrain and again in China, despite both Romain Grosjean and Kevin Magnussen qualifying in the top ten at the Shanghai International Circuit. The American outfit have been struggling to get their tyres switched on in race trim, and Steiner believes they can only hope to find the issue before round four in Azerbaijan arrives. “It seems that we had a very similar problem to what we had in Bahrain. It was deja vu. So, we need to look into it, and work hard to get this issue sorted,” he told Crash.net. “We didn’t have this in winter testing, as the track is completely different to this tracks like Bahrain, here and Baku. “Baku is even worse – I’m readying myself for the disappointment. I hope we find something before Baku. At these race tracks we can’t get energy into the tyre. Grosjean and Magnussen were forced to pit within the first 10 laps in China as they struggled for pace, meaning they lost track position and couldn’t find a way back into the points. 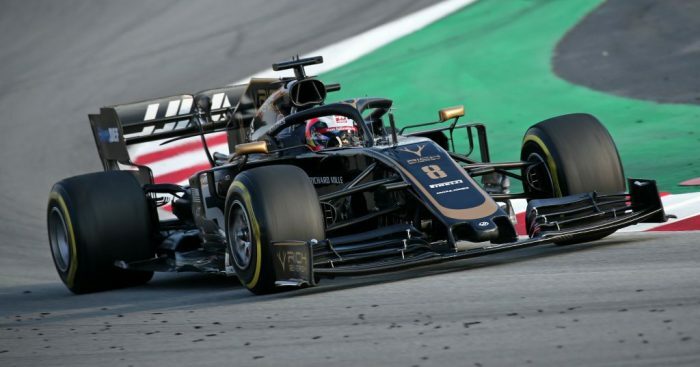 Grosjean finished just behind P10 man Alex Albon, and admitted that he was fearful that the Haas’ pace would vanish as the race progressed. “I was a bit worried to be fair before the start as our race pace hasn’t been amazing all weekend,” he explained.